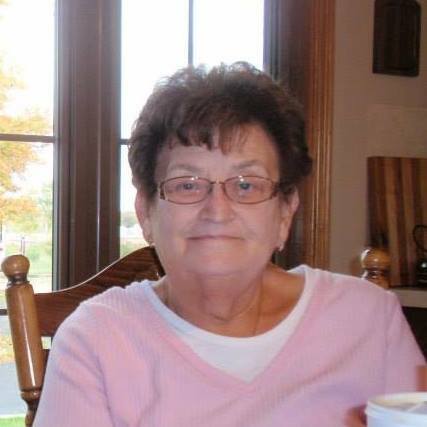 Jo Ann Patton, 73, of Churubusco, passed away on Tuesday, February 5, 2019, at her home. Born in Kentucky, on May 18, 1945, to the late, Bertie and Hanna (Asher) Patton. She spent her formative years in Churubusco, graduating from Churubusco High School in 1963. She worked as a bookkeeper for Fisher Oil Company in Churubusco. She later retired from Lassus Brothers after 15 years of service. She enjoyed going to movies and eating out with friends, but she especially enjoyed anything her nieces and nephews and great-nieces and great-nephews were doing. She was a very supportive aunt and would make it a priority to attend any game or play they were in. She loved her Hallmark channel movies and playing cards. Jo Ann is survived by two brothers, Larry (Allison) Patton and Pat (Sandy) Patton; three sisters, Sue Ianucilli, Millie (Steve) Creech and Patti (Brian) Kline; a bunch of nieces and nephews and great-nieces and great-nephews. She is preceded in death by her parents; two brothers, Bob and Michael Patton; four sisters, Phyllis McLaughlin, Gail Patton, Helen Miller add Shirley Farrell. Services will take place at Tri Lakes Baptist Church on Friday, February 8, 2019, at 2:30 PM, with calling one hour prior to the service. Family will receive friends at the church on Thursday, February 7, 2019, from 4:00 PM until 8:00 PM. Burial will take place at Riverview Cemetery, Allen County. Memorials to may be directed to the Tri Lakes Baptist Church.